You can breathe a sigh of relief. No, it’s not just you. If you’re feeling a little bit paranoid, delusional or just plain crazy, you are not alone. What you are is normal. Completely and utterly normal. Recently I was eating lunch with my colleagues, and a friend commented on one of our other friends who recently had a baby. The new mom posted a strange message on Facebook;, and my colleagues started calling her “crazy”, and “delusional”, and “ridiculous”. As I sat there, I was taken back to my first-time mom state of mind. I spoke up to the other women in the room (2 out of 3 of them mothers themselves). She just had a baby, I said. That makes you crazy, I know it made me crazy. And I waited. I waited for my friends to either commiserate and share their stories of paranoia and strange behavior, or to tell me that they had no idea what I was talking about. And then my friend came forward. I was absolutely right, she said. (Whew.) She then shared how she had brought her daughter’s crib into her room because she was afraid that her daughter was going to be abducted by aliens. Totally irrational thinking, right? But that’s what new motherhood does. You suddenly have such a fierce need to protect this little amazing miracle whose life depends on you. When my first child was born, I googled anything and everything possible. I was consumed with the thought that if I didn’t do everything “right”, that I would be doing irreparable damage to my baby. I 100% believed that if she didn’t get the recommended amount of total sleep per day, that she was going to lose brain cells. Over and over and over I pictured brain cells shriveling away in her beautiful little head. I painstakingly kept record of her sleep, right down to the minute. I would watch the video monitor while she slept so that I would know the exact minute when she woke up. And I would add up all of those precious minutes of sleep everyday. If she didn’t get “enough” sleep for that day, I was panicked. If you’ve already had children, you may be nodding your head. You may have your own stories of strange behavior. If you haven’t yet had children, you may think that I’m crazy. And you’re right, I was. But think about it. No matter how much experience you’ve had with children, nothing can prepare you for motherhood. You are suddenly thrown into this new experience, no matter how much you prepared for it. You are not only in charge of this tiny, seemingly fragile baby who you love with the most fierce love that you never knew existed 24 hours a day, but you are also likely exhausted from childbirth and in need of rest so that your body can heal. You’re weary, worried, scared, and your hormones are going wild. You’re used to having total control over your life, and now a 7-pound baby has completely taken over. Your day now consists of crying, consoling, shushing, bouncing, patting, spit-up cleaning, diaper changing… and the adrenaline rush that you’re experiencing makes it difficult to sleep even when baby does. How could you not be a little crazy? What’s really interesting, is that all of these feelings are legitimate changes that are occurring in your brain. You are experiencing a real-life mama bear syndrome. The regions in the brain in charge of empathy, anxiety and social interaction are more active. It explains why you feel stress when your baby cries. It explains why you are anxious over even the little things about caring for your baby. It explains why your world revolves around your new baby. But don’t worry. It’s the best kind of crazy. 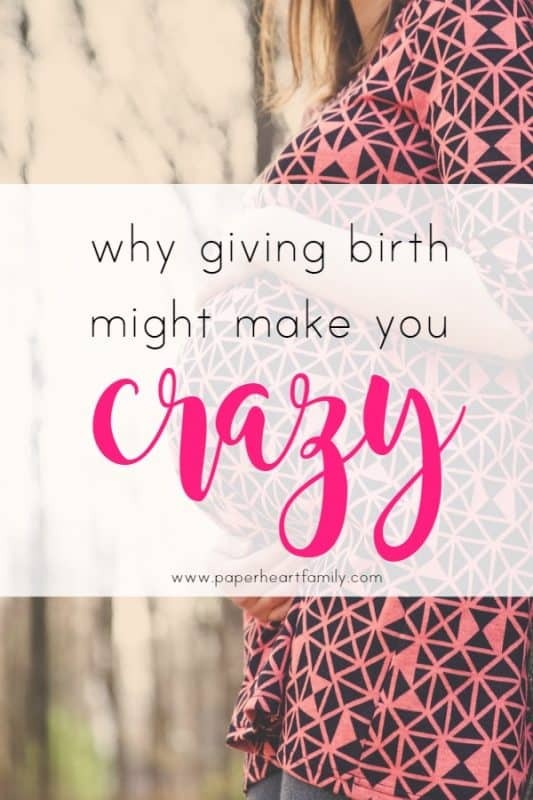 Motherhood simply makes you crazy. Please know that if you are experiencing extreme anxiety or depression, you should discuss it with your doctor. What are your crazy parenting stories? This was fun and reassuring to read! There definitely seems to be an emphasis on tracking things in the early days with a newborn, whether it is tracking how many minutes they ate or how many minutes they slept. I was so glad when I got to the point where I could finally stop tracking and trust that things were going to be just fine! YES. I’m sure our parents didn’t have to track anything! Just another thing to stress about! Yes, so true!!! The first 6 weeks I was sooo crazy! 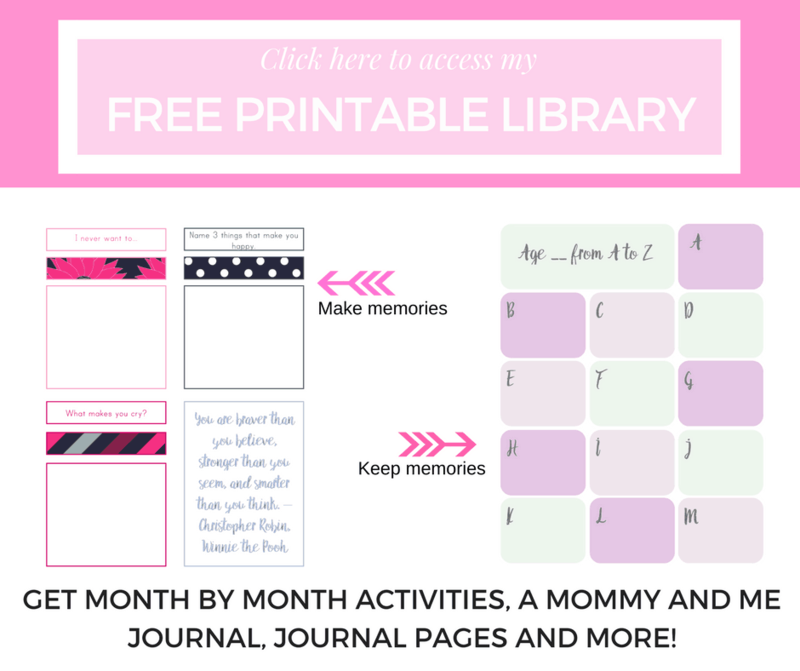 Thankfully hormones levelled out and with great support from other mamas, I found my groove! Good for you! I think I’m permanently crazy ? This is very true. Motherhood has completely taken over my life these last two years. I have a one year old and a 2 year old. I can defiantly say that I’m mom crazy lol. How could you not be? My kids aren’t that close. I give you credit!! Oh my gosh! Yes to all of this!! You are so right! I am a crazy person since having my daughter, but I also think it is completely natural. I have terrible insomnia because I am up all night worrying about everything and consulting doctor Google. You can read books, but real motherhood is totally different. We have to keep tiny humans alive! Craziness just comes with the territory! My thoughts exactly! Keeping “tiny humans” alive is hard! I am not yet a momma but I appreciate honest posts like this. For some reason I know I will be irrational or crazy with my kids as well. And it’s completely OKAY 🙂 I have many friends who portray motherhood as this incredible journey, and I am sure it is!, but it’s all perfect. I don’t believe in perfect. We are all humans and things aren’t always perfect. It’s great to have people in your life who keep it 100% real not being afraid of being judged. This is so good!!! We need to share these moments so we can all say “me too” Love it! I love this! Makes me feel reassured and like I’m not totally crazy lol! I’m currently expecting right now, awesome read! So glad it was helpful. It’s something you need to know! So much truth here. I remember how I used to watch my daughter sleep, worried that she’d stop breathing. Luckily you move past that stage, but it’s so hard while you’re in it! It’s funny how we think, I’ll just watch her. You know, instead of SLEEPING. I think all moms wonder that ?